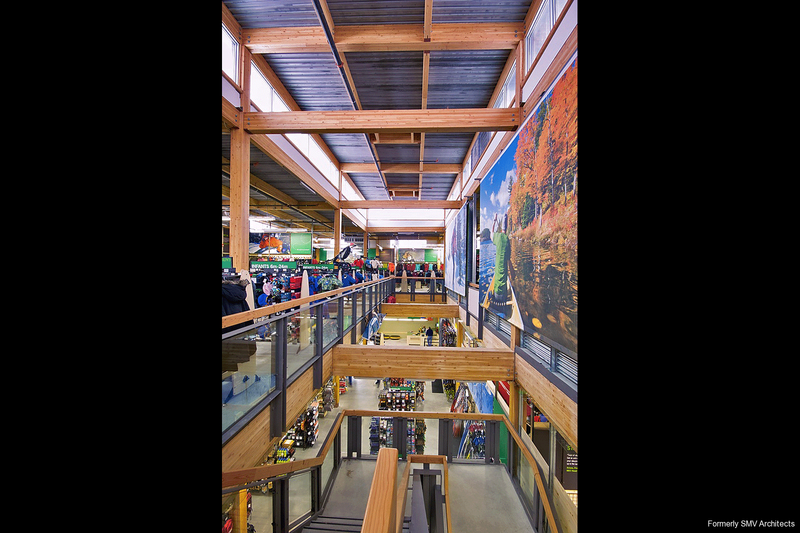 Canada's largest retailer of outdoor clothing, gear, and service, Mountain Equipment Co-op (MEC) is widely recognized for its commitment to economic, social, and environmental sustainability. 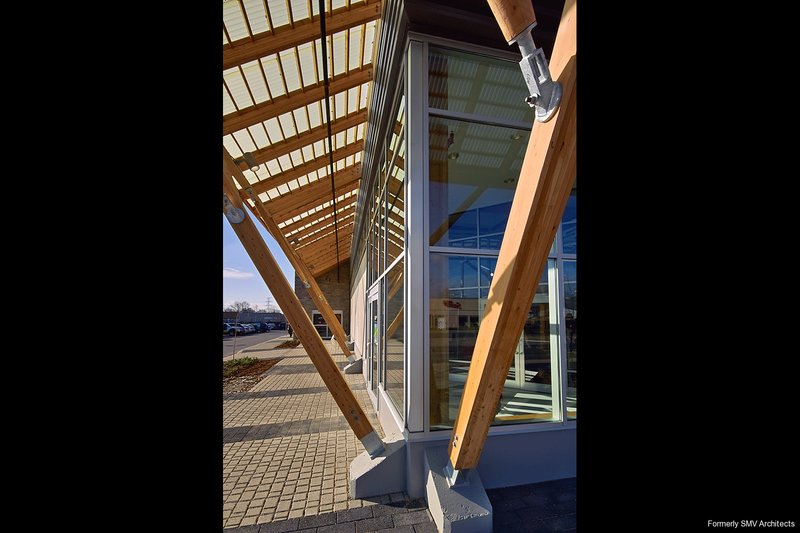 MEC asked us to produce an environmentally-responsive retail environment in an evolving urban neighbourhood. Recognizing that the life of retail stores is limited, they also wanted the building to provide options for future site densification, given that property value is tied to the land, not the building. 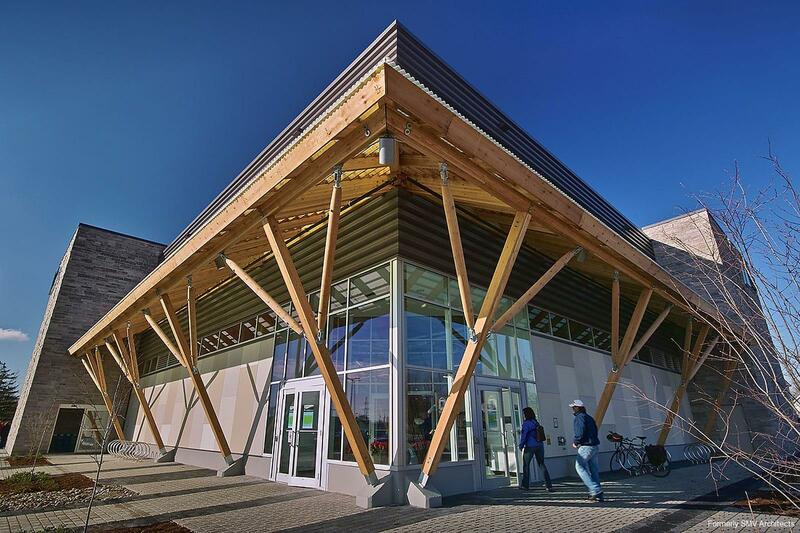 With environmentally-appropriate materials, a solar thermal system, and a storm water recycling scheme, this was MEC's first store to receive LEED Canada certification and achieved a Gold rating. 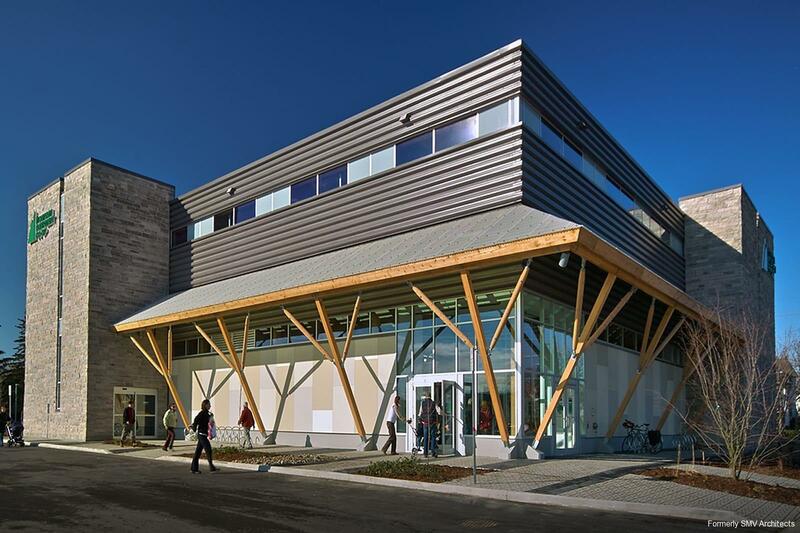 It was designed to consume 70% less energy than conventional buildings. It was also designed to capitalize on the lot size in anticipation of greater future density, either with modifications to the store or complete disassembly and material re-use. Sheltering member traffic, the striking wood and translucent acrylic canopy allows daylight through to the interior and creates an attractive shadow pattern. Originally intended as a single-storey building, planning issues altered the scheme, inspiring a highly-efficient retail space on two floors. With over 19,000 sf devoted to sales floor space (of 27,000 sf total), this store features some 7,500 products that span the various activities MEC supports. It also includes a bike shop and a ski shop to service members’ needs for repairs, alterations, and installation of parts and accessories that they purchase. Daylight floods the space from high clerestory windows on both floors. 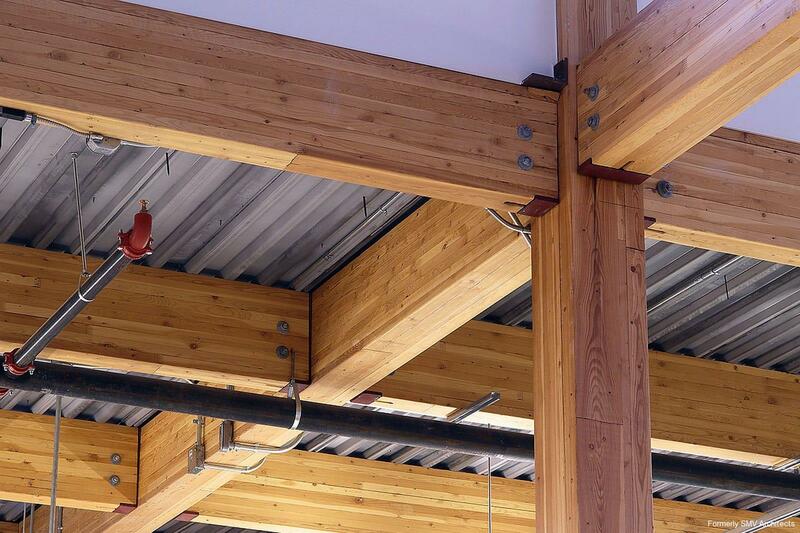 The wood construction approach is striking, pragmatic, and easily re-fashioned. Interior and exterior finish materials are mechanically-fastened modular panels of prefinished cement board and metal siding, both materially efficient and simple to assemble quickly. Where possible, adhesives and bonded connections were avoided in order that materials can be readily separated by component or material for future use.